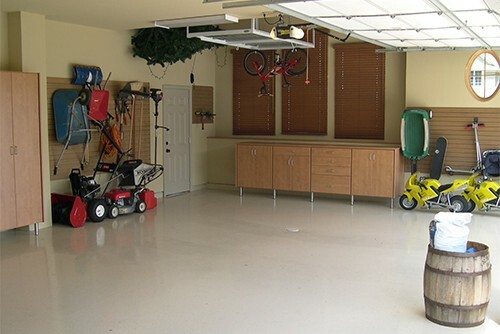 Permanent Coating Solutions will help you design the perfect storage solutions to help you keep your garage organized and clutter free. 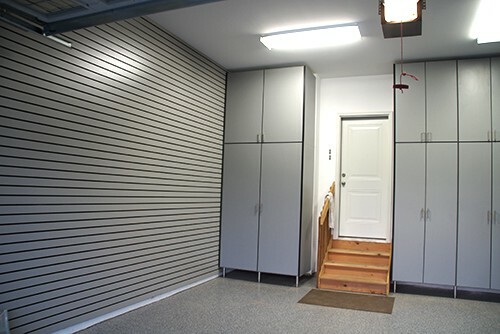 From custom built cabinets to overhead storage to slat wall and more, we can provide you with the quality products and professional installation to make the garage of your dreams. 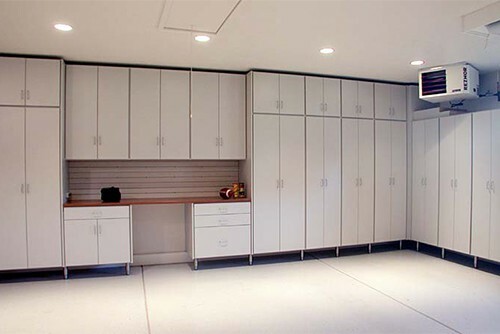 We provide and install modular cabinets made by Kambium, a local, premier provider of custom designed and manufactured storage solutions. 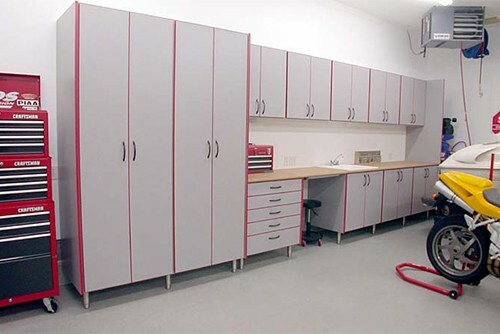 Choose from Tall, Hanging, and Base cabinets to put together virtually any design. 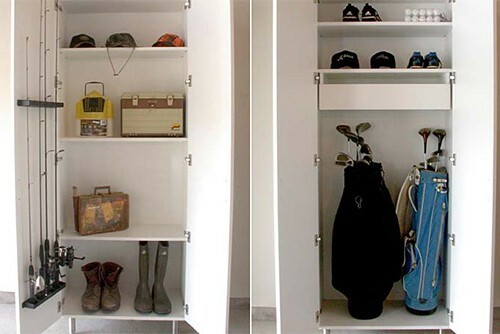 Pick from an array of colors, edge banding and handles to suit your style. 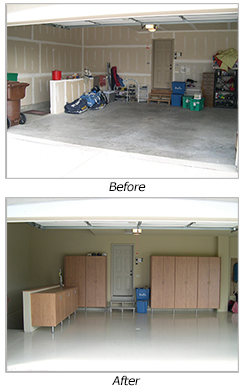 Add a work bench for a complete system that will allow you to use your garage to its fullest. 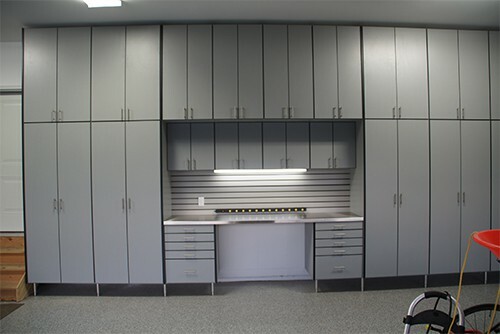 All cabinets have full backs, 6 inch stainless steel adjustable legs, and come with a Lifeime Warranty. 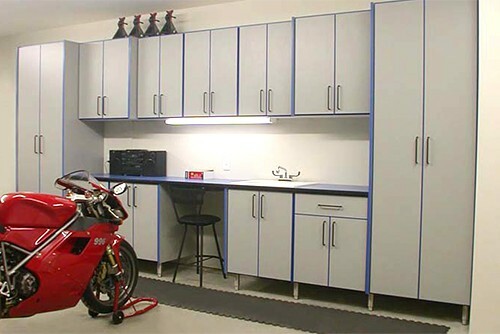 These cabinets come in many different configurations to fit any storage needs you may have, including special cabinets designed for golf, fishing, snowmobiling, hunting, etc. 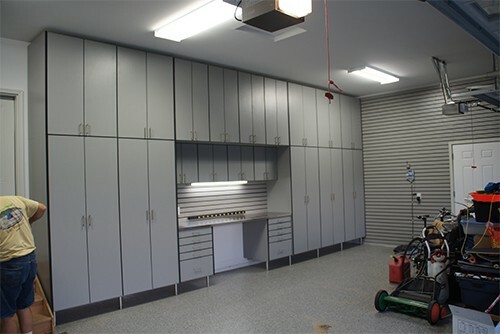 We would be happy to come out and discuss your needs and design a storage system for you. 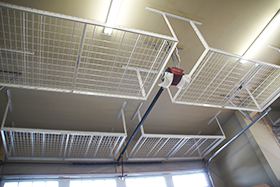 MonsterRax are ceiling mounted, overhead storage racks that are perfect for getting all those bins and boxes off the floor and out of the way. 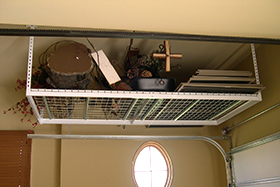 If you have space above the garage door, this is a perfect spot to mount the racks. 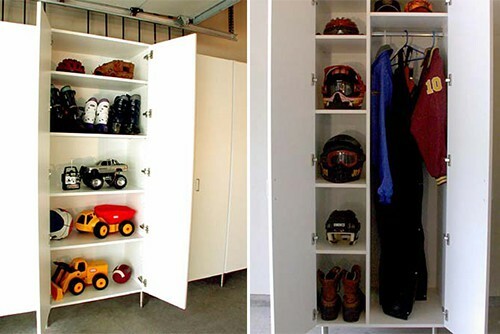 This will put that normally wasted space to good use. 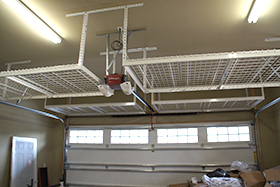 They can also be mounted so they are above the car, utilizing more wasted space in your garage.